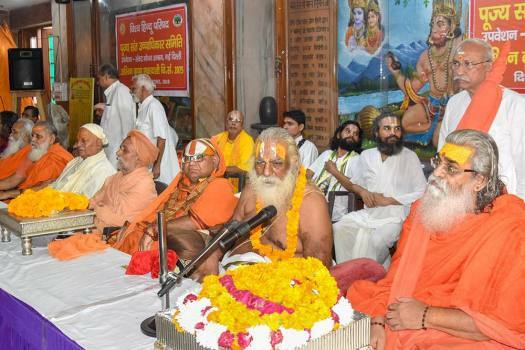 Ram Janam Bhoomi Trust President Nritya Gopal Das (C) and other members of Sant Ucchadhikar Samiti during a meeting on Ram Janam Bhumi at VHP office, in New Delhi. 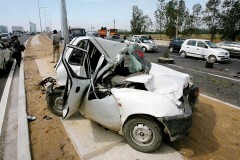 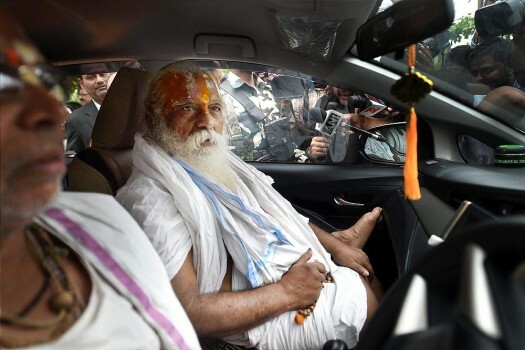 Nritya Gopal Das, one of the accused in the Babri Masjid demolition case arrives in Lucknow to appear before a Special CBI court. 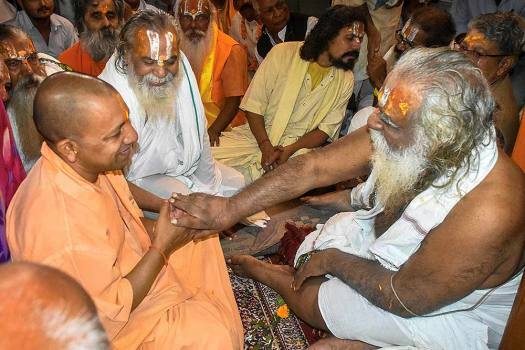 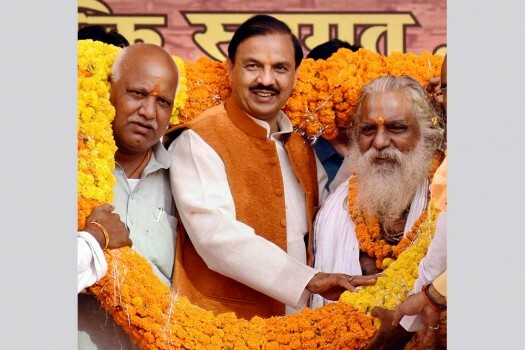 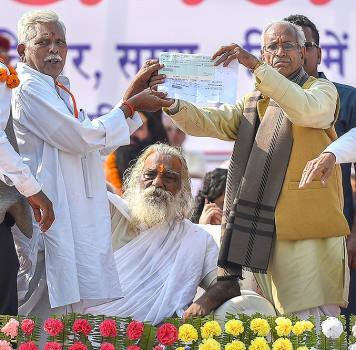 Culture and Tourism Minister Mahesh Sharma with Mahant Nritya Gopal Das Ji and BJP member Lallu Singh at a rally, in Ayodhya.